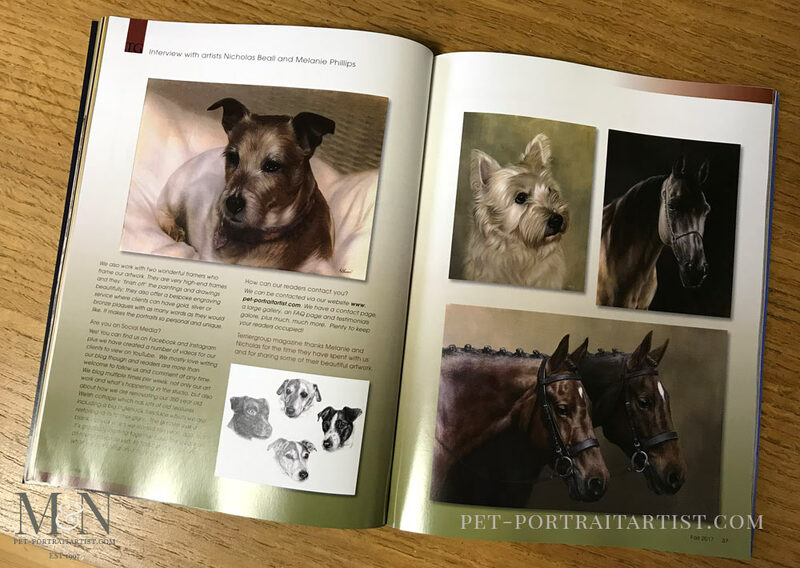 Welcome to our pet portraits article for Terrier Group Magazine. A few months ago we were contacted by a lovely lady called Melanie (yes! same name!) who asked if we were interested in writing an article for them. 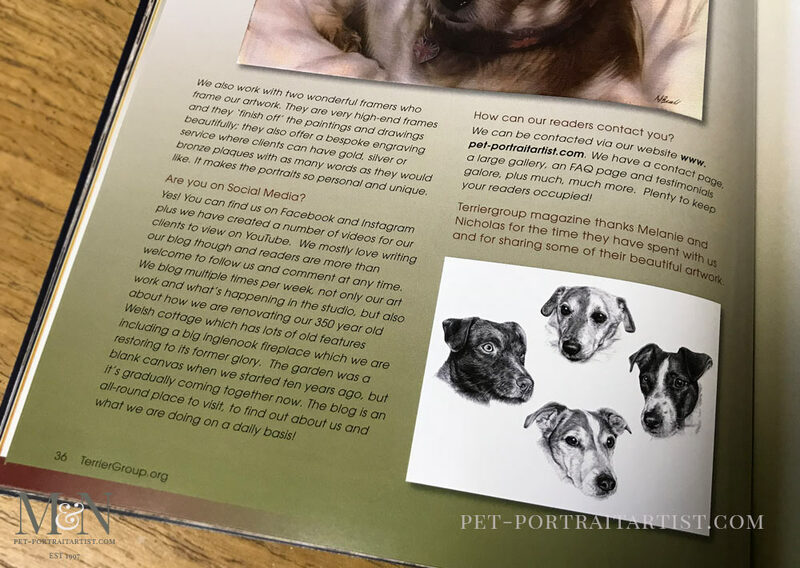 They wanted us to write about our Pet Portraits for their ‘Terrier Group’ Magazine. We emailed Melanie straight away and jumped at the chance. What a wonderful opportunity. Melanie, along with editor Muriel gave us some insight into what they wanted form the article. Unanimously we decided to do it in a questions and answers format. We felt that it would be very readable and a more interesting format for their subscribers. 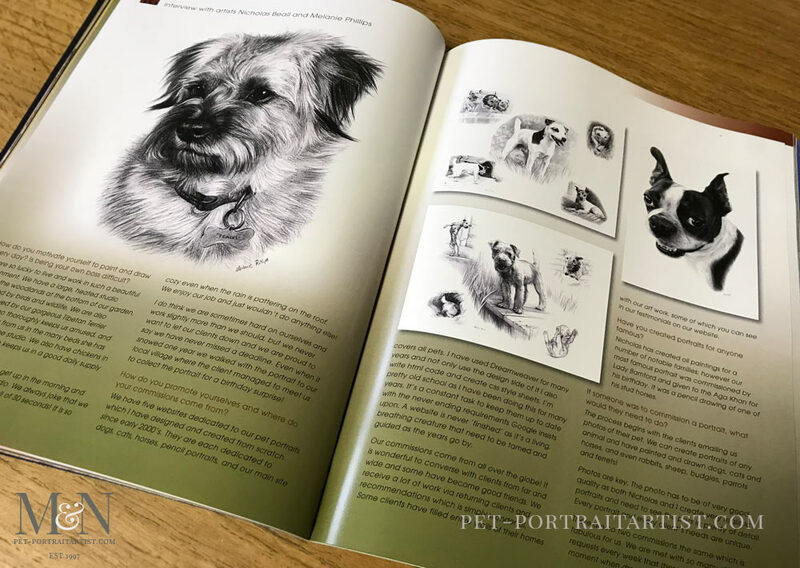 We also arranged to send some scans of our artwork of terriers, along with a few other animals too. I love writing and have written a number of articles and a How to Draw Fairies book in the past, so I found it fun to do. I thoroughly enjoyed writing the article and completed in good time for their deadline. 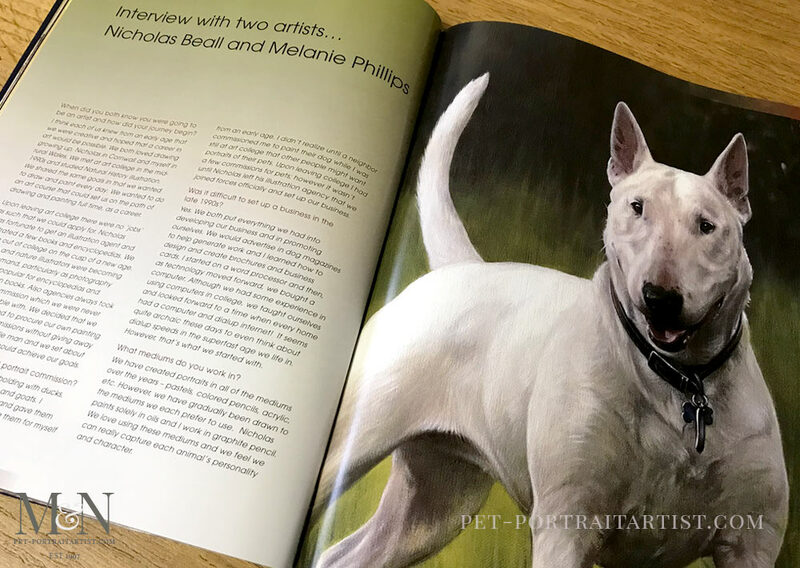 Pet Portraits Article for Terrier Group Magazine – Surprise! A few months went by and we had completely forgotten all about it when the most wonderful surprise landed on our doorstep. Nicholas opened the magazine and came flying into the art studio to show me. We are over the moon and so grateful to the Terrier Group magazine for sending us a copy all the way from America, to us here in the UK! As a result, I have taken some photos of the magazine article for our readers to see. We hope you enjoy viewing it! Finally, we hope that you have enjoyed viewing our Art Studio Blog. Why not sign up to our Monthly newsletter accessible at the bottom of our website which comes out on the 1st of each month. You can catch up on all of the portrait stories and news from our Art Studio! Please don’t forget to subscribe to our Youtube Channel too, share, like and follow our social media and you are more than welcome to comment below, we love hearing from our readers! Nice to read your blogs. We had our first dusting of snow here 5his morning in Ontario, Canada.